Happy Goat Productions is a resource for students and practitioners of Chinese medicine who want to learn more about the roots of their healing art. Visit our online store for printed books, eBooks and more. Translations include works by Wang Fengyi, Sun Simiao and the Shén Nóng Běncǎo Jīng. My first visit in Poland, May 24-26, with a small taster on Wang Fengyi and Virtue Healing on Friday night and then a two-day class on Saturday and Sunday on classical Chinese gynecology and pediatrics. For more information, see this flyer. 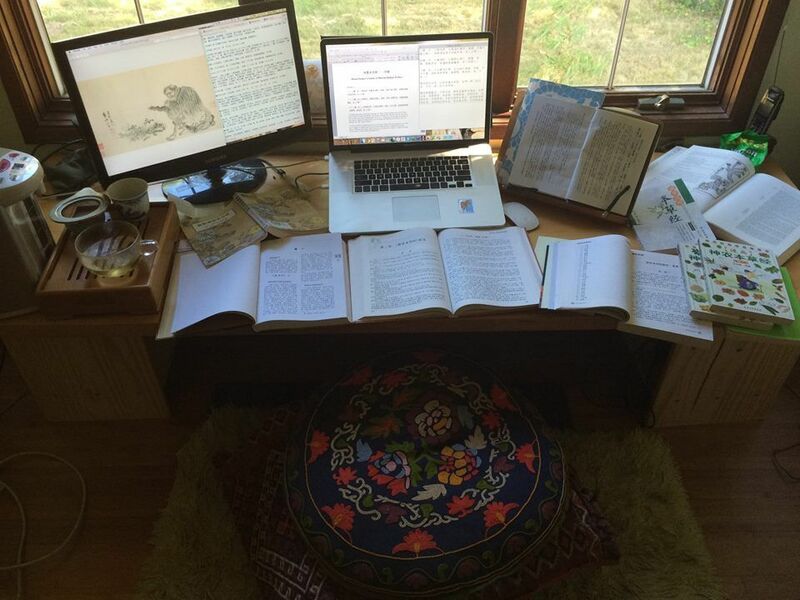 I love to share my particular combination of knowledge in classical Chinese language and medicine and my decades of experience with writing, translating, editing, and publishing with students and practitioners. For more personalized instruction, consider becoming a supporting member of Imperial Tutor here. Visit the Resources page to find some general information on Chinese medicine and philosophy for those just beginning their studies to information for advanced students and practitioners. Topics include: Sun Simiao, Wang Fengyi, Chinese medicine for women, children, and more. For more in-depth study, check out our sister website www.imperialtutor.com, especially the membership program that provides a wealth of options and resources to dig deeper. Sign up for our newsletter or contact us here. Sometimes life has a way of making connections for us, and all we have to do is get out of the way. My friendship with Jane English has certainly felt that way. What a serendipitous gift out of nowhere!